To undertake work on Electrical Equipment in Hazardous Areas (EEHA) that meets the requirements of AS/NZS 60079.14 and AS/NZS 60079.17. 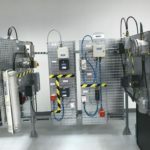 Hazardous Areas Electrical qualification provides competencies to select, install, test, maintain and inspect electrical equipment in hazardous locations (EEHA) in a gas and dust atmospheres. It includes ERAC requirements for an ‘Electrician’s licence’. This course is for anyone involved in the “hands-on” side of hazardous area electrical work, i.e. the installation, maintenance or inspection of EEHA. Electricians and instrument technicians are the most common attendees, but we also train electrical engineers who perform inspections as part of their role. The course covers the theory and practice of field work in hazardous areas. 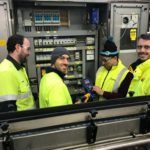 The course is post-trade training, so we usually require a current electrical license (any Australian state or territory) or instrumentation trade certificate as a pre-requisite. Electrical engineers meet the pre-requisites for the inspection related units only. This EEHA training is delivered at one of PMV’s national training centres (Perth, Brisbane & Adelaide), or at a client’s facility. In accordance with the AS/NZS 60079.14 requirement for continuing education, PMV recommends that the EEHA Installation and Maintenance competencies are refreshed every 3 years. Blended delivery of 60% theory and 40% practical training with EEHA equipment that you are likely to see in a typical hazardous area industrial environment – oil, gas and mineral processing industry. The course includes in-class progressive assessment; short answer tests on hazardous area fundamentals; equipment marking; equipment certification; and, device interpretation. Traineeship Funding is available from the Department of Training and Workforce Development (DTWD). Use the enquiry form to contact us for details. Off the Job Training for this Traineeship will be one day a week for 40 weeks for a total of one year (12 months). Block release sessions can be made available for those undertaking the Traineeship in regional/ remote location or work on a FIFO roster. The duration of the training may be adjusted depending upon previous qualifications and/or relevant workplace experience. This will be negotiated at the commencement of your traineeship. The Traineeship will include assessment of off the job and on the job competencies. Your trainer will visit your workplace every six weeks to monitor your progress on the job. Get free counselling from our trainers and industry veterans with over 3 decades of expertise in EEHA. Contact us Now!